Elizabeth Whelan is a notable designer specialised in upholsteries and textiles. Elizabeth’s inspired textiles have been chosen by some of the greatest American designers to adorn their most innovative and advanced products. Her... Read more collections include woven textiles and wall coverings for the contract, residential and apparel markets. Elizabeth Whelan graduated in the Rhode Island School of Design, where she was awarded a Textron Fellowship. 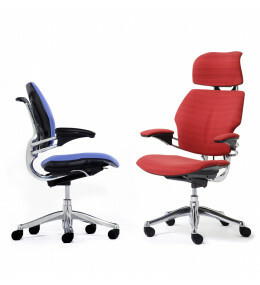 Liberty Mesh Office Task Chair offers ergonomic seating comfort. Award winning design. 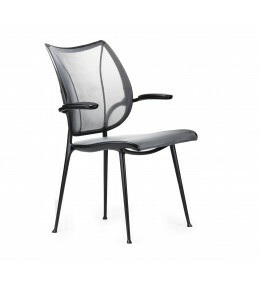 Liberty Side Chairs feature a slim sculpted seat and lumbar support for seating comfort. 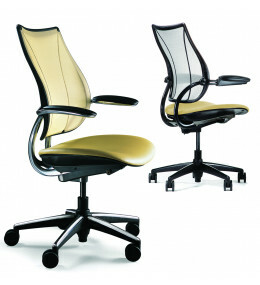 Freedom Office Task Chairs by Niels Diffrient offer advanced ergonomic advantages such as weight-sensitive recline. 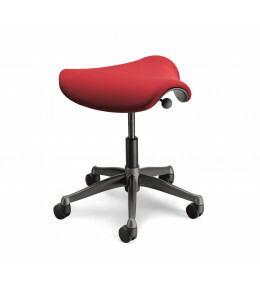 Freedom Saddle is a height adjustable stool and one of the most comfortable and healthy ways to sit!